With the right HR technology solutions on your side, finding the right people to manage your restaurant operations has never been so easy or intuitive. 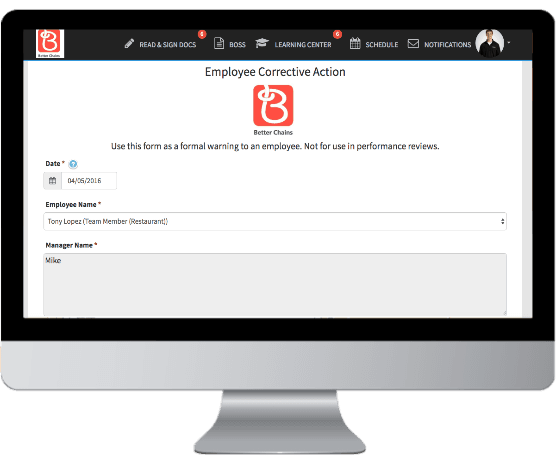 The Better Chains cloud-based HR management platform offers restaurant recruiters and management the tools needed to manage the entire employee lifecycle; from applications to interviews, onboarding training to HR record management, everything you need can now be found in one simple and easy-to-use tool. Never lose applications or documents again. Everything is stored in the cloud, for every applicant even if you don’t hire them. From job descriptions to applications and interviews loaded into the system create consistency in the hiring process. Ensure every staff member is following the same new hire on boarding process at all of your locations. Ensuring your interviews are handled consistently and appropriately across locations can be a struggle. Better Chains makes it easy with our online interview tool. 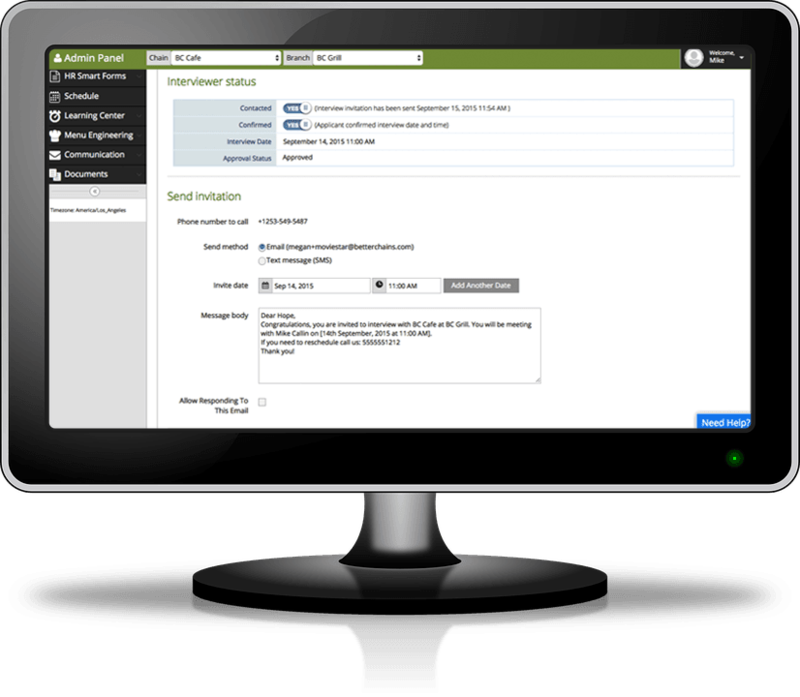 Keep It Simple: Easily invite them to interview with an email or text message. Templates: Ensure your interviews are conducted consistently across all locations with position-templated interview questionnaires. Trigger Happy: Build trigger points into your questionnaires to give interviewers hints as to what key phrases or answers they need to listen for. Choose from a variety of digital forms to complete your employee’s HR profile. Never worry about losing paperwork or having to find forms that your staff has completed again. Digital Signature: All smart forms can be e-signed with multiple signatures and signed and are automatically stored in your employees’ online profile and available as a PDF for download. Paperless HR: Copies of your completed forms can be shared with anyone who needs them. 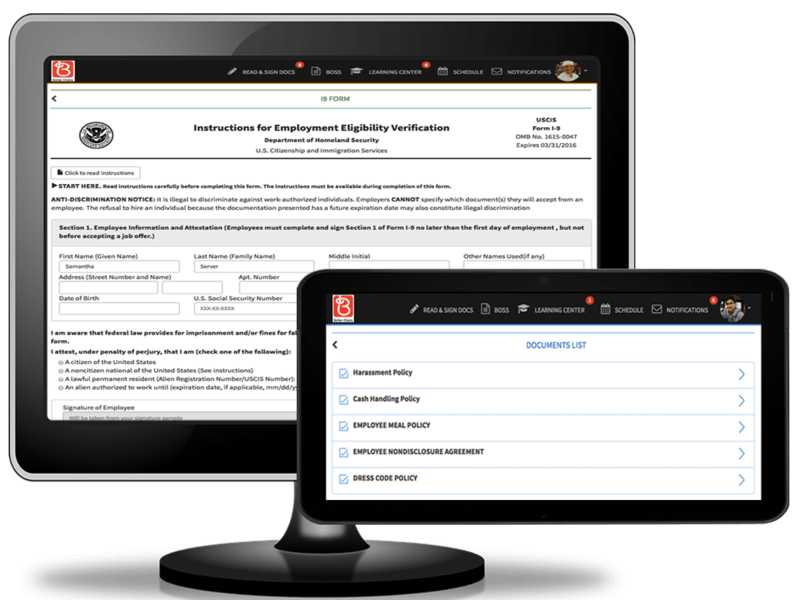 Best Fit: We can customize any HR form to meet your company’s needs. Better Chains’ automated onboarding tool will help keep your procedures efficient and get your new employees on the job faster. Get Organized: HR management that keep tabs on all of the new hire onboarding documentation. Industry Templates: Not sure where to start or what you need? Choose from our HR document library. Easy as 1, 2, 3: An easy-to-follow workflow makes sure documents and steps never get missed. Digital Signage: All employee documentation–including federal forms like the I-9 are electronically signed and stored in your employees’ online profile and available as a PDF for download. Bird’s Eye View: Be able to check in on your new hire’s onboarding progress at any time.